Four Brick Court has an established team of barristers who deal with the full range of financial cases from ancillary relief following divorce to trusts of land applications following the separation of cohabiting partners. We have extensive experience of all types of ancillary relief cases from ‘big money cases” to more modest asset cases. We have experienced practitioners in cases involving a foreign element, pensions, and dissipation of assets, concealed assets, financial provision for children and all aspects of financial provision following the breakdown of a marriage. We accept instructions from solicitors or from the clients directly ensuring thorough and cost effective representation (clients should visit our direct access page). In addition to helping clients achieve a fair division of the assets following separation, we are also frequently instructed in cases involving. We also undertake and act for clients in cohabitee disputes. Our large Family Practice Group is committed to providing a personal, friendly and approachable service, whether during a lengthy conference or a five-minute phone call. 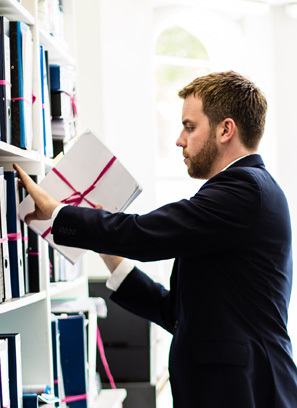 We regularly work side by side with experts such as valuers, pension specialists, accountants, social workers or medical professionals to ensure that we find the right solution for each client.